-EBG is operating QF767 BNE-PER tonight presumably in her new domestic configuration. That was a pretty quick conversion! I’m afraid she hasn’t been converted and is still in her old 36J 199Y configuration. Looks like one of the 744s will head off into retirement m this coming Saturday 22/9. 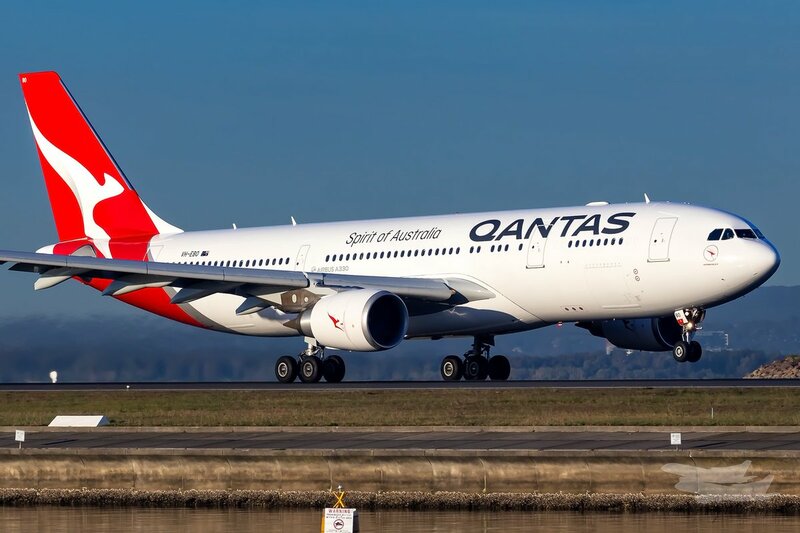 Will operate from BNE to LAX as QF55 and no return sector is scheduled for that day. Looks to be either OJT or OJU. The latter has been out of action for a few days now. I read a post on Facebook (take that as you will) that OJT will be the retiring bird. A332 VH-EBO has been in SIN for 2weeks (for repaint), is scheduled to position/ferry SIN-BNE today QF6013. Also I see -EBR been in BNE hangers since Sept 10, so assume? its having a refit/reconfig to 27J 224Y. Not sure it would be in for a reconfig, you're saying it is in for 23 days. They complete a reconfig in about 38 days average, that seems way too short for a reconfig. EBG just came out after 23 days and didn't have a config change. -EBG will require A LOT more work to rip out/replace the old J/C skybeds, rip out/refurb the old Y/C seatback modules/add the ipad seatback modules PLUS all the galleys/toilets/flight crew rest are ALL different configs...PLUS all the associated rerouting of electrics/ some toilet and galley pipes/emergency equipment etc etc etc. Wonder what maintenance was conducted. With 3 332Ls now and 4 with EBR, EBG and EBL should be limited to Dom / NZ routes, where you really don't need the flat beds. EBS seems to be out of service in BNE (for a couple of days now), which may be why EBG and EBL have had to step in on the international services. And EBO has only just returned to service. EBG had a HYD system bleed, and a cleaning of the cargoholds done and some lightning damage repaired. OJT is supposed to have it's final flight BNE-LAX later today then retirement. The information I have matches your 'bet' - subject to change, my understanding is that OJT will operate 20/QF55, 20/QF56, 22/QF55 and then position to storage from LAX. I've seen some information, but so far no reliable confirmation, that there's a QF17 scheduled on 22nd with a B744 that would then operate 22/QF56 - this could well be incorrect given 27/QF55 will operate SYD-BNE-LAX. I believe -OJU had some lower time components fitted that were removed from -OJT. I'm still under the impression that -OEI is next for withdrawal, it's been used a fair, she's been used exclusively on SYD-PER-SYD rotations the past week or so. Hopefully once -EBQ is released from reconfig -EBG and L will be solely operated on the domestic network. Does the A332L reconfiguration include any software modifications to the engines such as giving them a 'thrust bump'? Q400 VH-QOH ('the Pink Lady') will enter paint in TSV this Wednesday when QOJ returns to service - sadly this is expected to end her current pink breast cancer awareness livery, though with Fly Pink running from 15 Oct to 15 Nov perhaps QantasLink will surprise us? VH-VXP has just departed Townsville as QF6103, presumably with newroo applied after being on the ground for 16 days. There's a great updated list of qantaslink dash 8 2/3/400 silver roo repaint progress over on yssyforum.net. As mentioned previously the 300s are complete..2 of 3 200s done, 21 of 30 400s done. So the 'dash 8' fleet is on track to be completed by 'end 2018' (I read that this was the plan). Then the 'silver roo' focus will turn to the B717 fleet. Over in the West..the F100 fleet is roughly 50% now silver roo. Also the B737 fleet is chugging along with repaints and wifi installs...I have lost track on the 'numbers' of how many are sliver roo and/or wifi humped..MAYBE QF are taking advantage of the 'lower than usual' usage of B737s at the moment to do more B737 paints/wifi installs than usual/planned...JUST MY OPINION..Please don't interpret as fact! The A380 repaints now sit at 6 -OQA/C/F/G/K/L now in silver roo...2 more repaints are part of the 'Dubai deal'. I THINK the A333/2 repaints/wifi humps MAY have 'slowed down' a bit due to their current higher than 'normal' domestic flying. VH-QOH positioned to Townsville from Moronbah this morning but has since departed again late this afternoon to Mt Isa. Wonder if it will enter the paintshop tomorrow now instead, assuming it will return to Townsville tonight? The list on YSSY forum is the list of aircraft that are named, not the aircraft in the new livery. I disagree..The topic thread is 'New Qantas Branding' and it is the list of aircraft 'names' of the repainted(silver roo) Dash 8s and F100s. We will just agree to disagree. Cheers. The list of names posted over the weekend does include aircraft which have not been repainted as yet - for example, Q200 TQG and Q400s LQD, LQG and LQQ are named but not repainted. I'm not sure off the top of my head whether a couple of the Q400s with QO* registrations might also be named and not repainted (QOP and QOR in particular stand out to me, but I was also out of the country and the loop a bit). A bit of trivia - LQD and LQG were named at or shortly after their delivery to coincide with the beginning of QantasLink's now ceased Q400 operations in WA, and LQQ was named (again, at or shortly after delivery) to coincide with the beginning of Wellcamp services. Apologies, I didn't get a chance to update on QOH yesterday - I understand there was a delay in getting QOJ back in service, so QOH remained in service as a result. QOJ has returned to service this morning, and as yet QOH has not flown today, so I can only assume the swap occurred last night. okey dokey.. 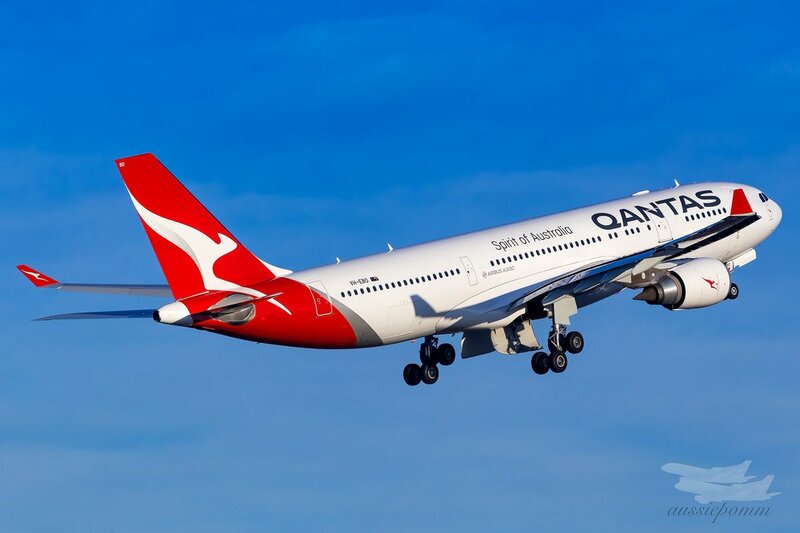 Apologies for misinterpreting the list in the 'New Qantas Branding' thread...I took 'new branding' as being new roo. Cheers. As you said, it's showing as being on the ground since returning from Mt Isa as QF2475. I'll certainly miss that livery. Just glad I happened to be outside and was fortunate enough to watch as it climbed out of TSV on one of it's final scheduled services in that iconic pink livery. 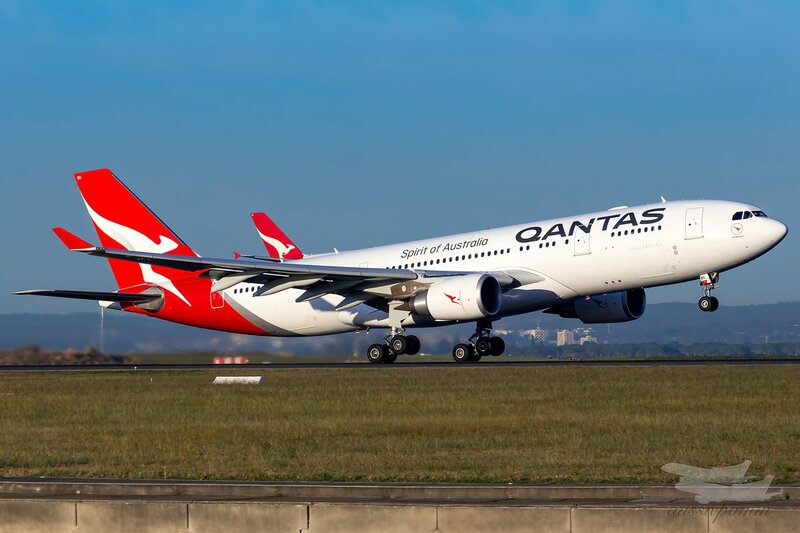 QF have a one off BNE-SIN QF53 A330-200 scheduled for 5th October, I assume another repaint. 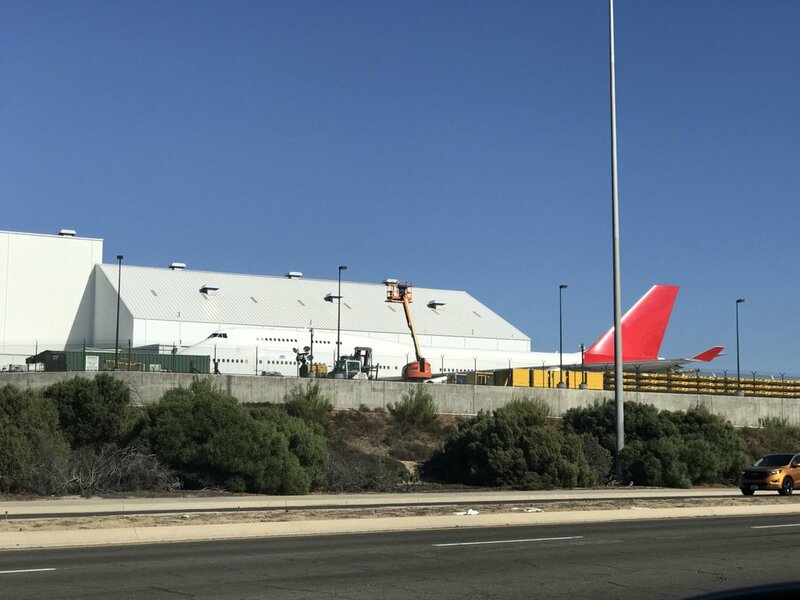 This info seems to fit in with the info that A330-200 -EBR is coming out of the hanger on OCT 3rd after its conversion to 27J 224Y... it MIGHT be -EBR off to SIN (QF53) for a repaint..or it might be -EBR goes straight back into service and ANOTHER A330-200 goes to SIN paint shop (aka 1 for 1 out of service). Suppose it depends if the high utilization of A330s is slowing down to allow 2 A330s offline at the same time for extended times for paints and/or cabin refurbs. I have read on another forum that from OCT, more B737s will be 're entering' the schedule as the 'B737 pilot issues' are slowly being rectified. EBL is in the hangar in BNE. Meanwhile.....EBG has found its way back onto QF107/108 rotations. 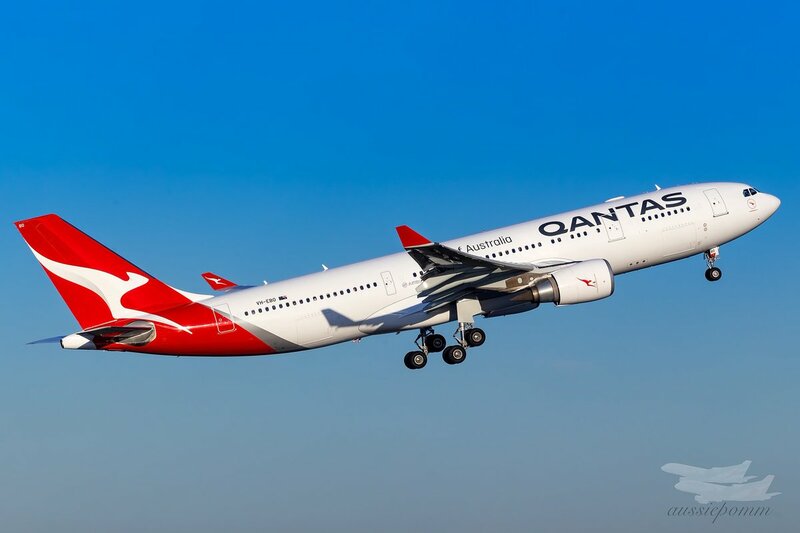 -EBM will operate QF53 and enter paint in SIN, -EBR is returning to service. Any idea if EBL is getting a refurb, or just general maintenance like EBG had a few weeks ago. QF 747 OEI positioned to HKG yesterday for a D Check. Have seen a photo of QOH newly repainted and sadly she now looks like all the other Silver Roo Q400s. Nose name is Forster. 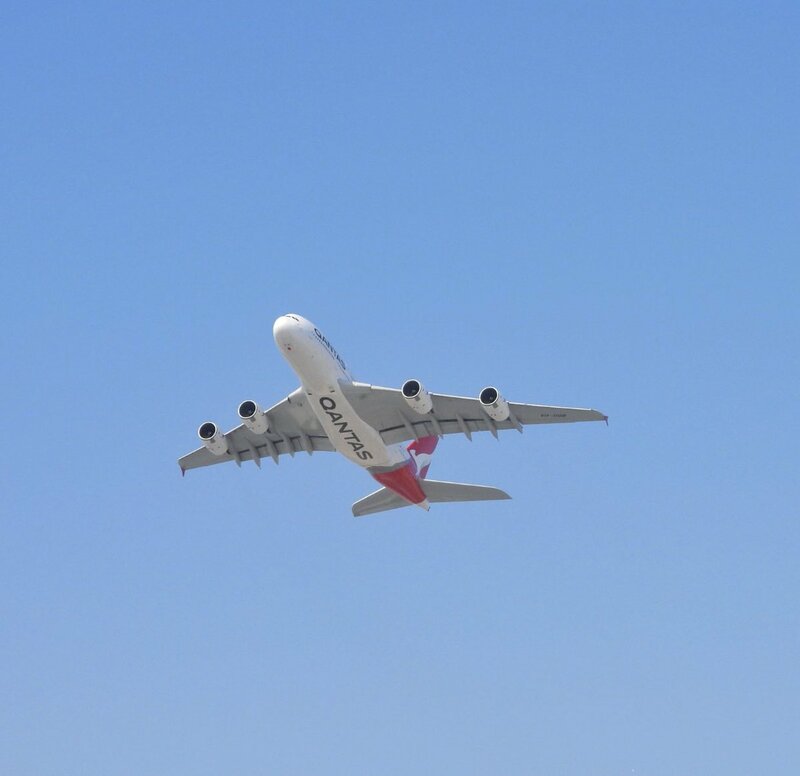 Next A380 for repaint will be VH-OQB departing 10th October as QF6011 direct to DXB. QOH returned to service today, with QOP now in for paint in TSV. EBL now approaching 4 wks in BNE maintenance. Any confirmation on whether it's getting refurbed to domestic standard?